Collecting vintage football equipment for over 10 years, it's fairly rare to come across an article I've never seen before. 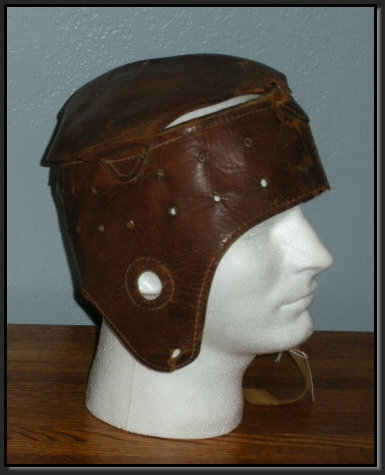 From the collection of an advanced collector comes AntiqueFootball's May 2016 Artifact of the Month, a circa 1935 Draper & Maynard NG1 leather nose guard. 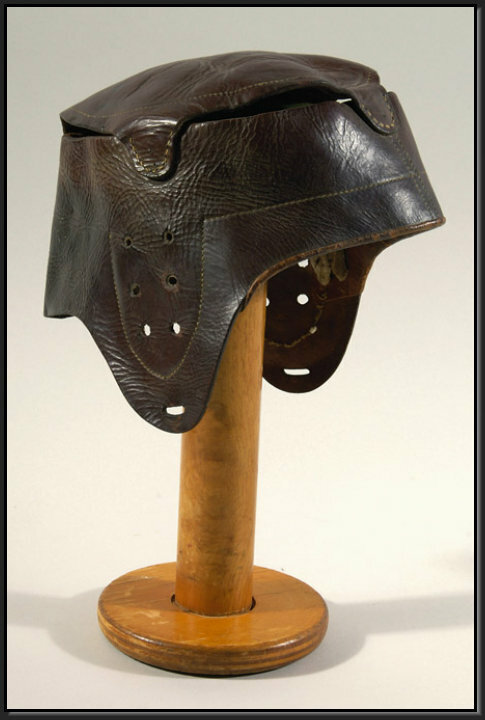 The leather nose guard was introduced in the mid-1920's by A.G. Spalding & Bros as the precursor to the metal facemask. Rather than purchasing a complete nose protector (executioner) helmet, players could purchase a stand-alone nose guard and wear it in combination with their own helmet. D&M began producing the No. NG1 in the early 1930's, and continued production until the company closed its doors in 1937. There's no mention of the NG1 in the 1931 D&M catalog, and the 1934 and 1937 catalogs only describe it with no image. If you have a catalog image of the NG1, please let me know! In November of 2015 we featured a c. 1927 Nose Protector as our Artifact of the Month. Nose Guard Ad, Draper & Maynard Fall & Winter Catalog for 1936-37.